The Center for Computer-Assisted Legal Instruction (CALI) is a 501(c)(3) non-profit consortium of law schools, law libraries and related organizations. Almost every United States law school is a member of CALI and they make up the bulk of our membership. In keeping with our Mission Statement, CALI conducts applied research and development in the area of computer-mediated legal education and creates tools that increase access to justice. 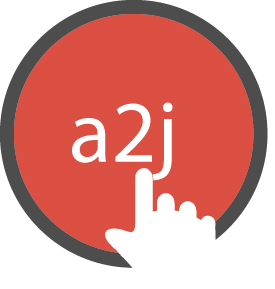 A2J.org was developed by CALI to close the justice gap. The site allows law students to practice by providing a place to demonstrate their proficiency in legal automation, allows self represented litigants access to tools thatcan help them solve their problems.